Let’s talk vegan coffee creamer. There’s something terrific about a dollop of cream in coffee or tea. I love the way it swirls in the mug; it’s pretty to watch. Do you like creamer? Good news. A surprising amount of vegan options is available. Today, choices made from soy, coconut, almond, and flax are in most grocery stores. Plus, dairy-free coffee creamer is easy to make at home. People have been talking about vegan coffee creamer since the start. Donald Watson, the founder of veganism, talked about it in 1944, in the first issue of The Vegan News. Luckily that’s a thing of the past. It’s time to talk about the vegan coffee creamer basics. Most likely, you know that dairy coffee creamer is made using the milk from animals like cows, sheep, or goats. Obviously, creamer made from these types of milk isn’t vegan. So, what kind of coffee creamer is vegan? Non-dairy creamers made with almond, coconut, soy, or another plant-based milk. Here’s a list of the vegan coffee creamer brands. Generally speaking, you’ll be able to find vegan coffee creamer brands in well-stocked grocery stores or natural foods markets. Even stores like Walmart stocks them. Look for the following brands in the cold section of the store. 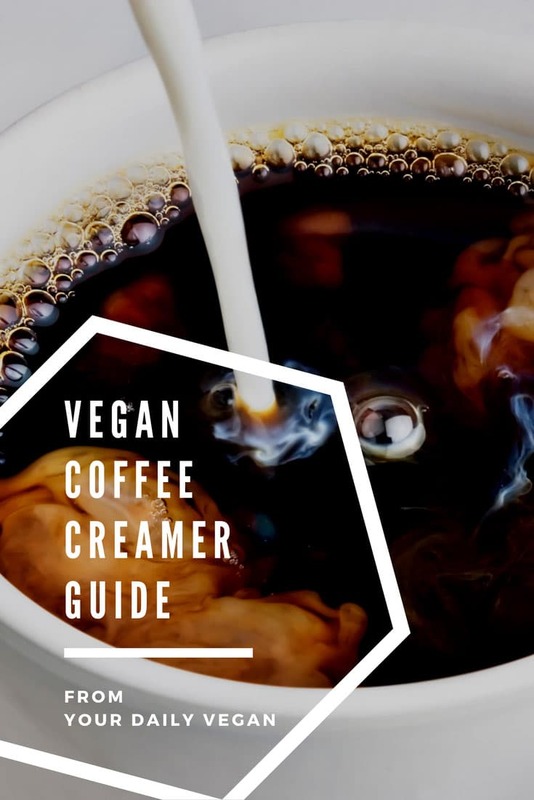 Do you make a vegan coffee creamer that isn’t listed? Contact me. You’ll find vegan powdered coffee creamers in grocery stores or natural markets. Look in the section of the store where the coffee products are sold. Or, save a trip to the store and order from an online retailer instead. Is non-dairy coffee creamer vegan? Non-dairy coffee creamer made from plant milk like soy, coconut, flax, or almond milk is fine for vegans. First, check for common animal ingredients in creamers such as lactose, whey, or casein. Next, look for words like “non-dairy” or “dairy-free.” Finally, look for brands that use the term ‘vegan’ on the label. Some brands have one. Others don’t. Rich, creamy vegan coffee creamer isn’t just at your local grocery store or natural market. You can also make delicious creamer at home. 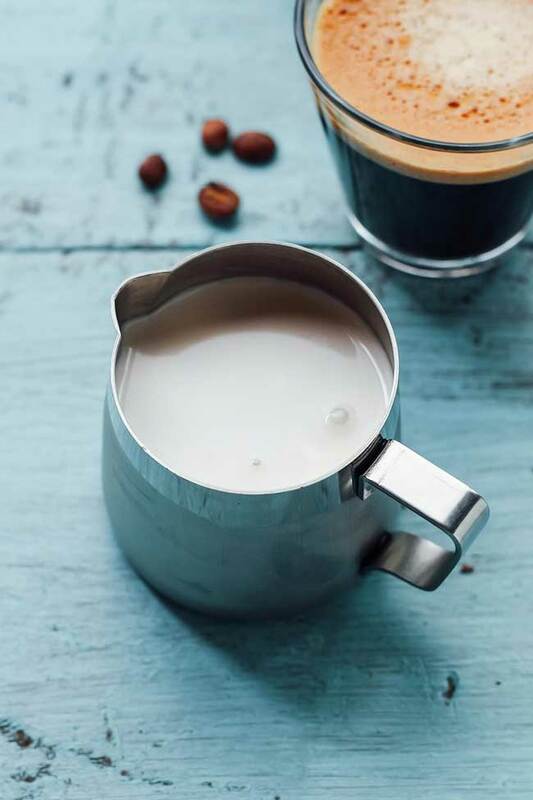 Here are dairy-free creamer recipes that are easy to prepare. Have a vegan recipe that isn’t listed? Contact me. I am committed to providing accurate information to the vegan community. Meticulously researched, the topic explored in this guide contains knowledge available at the time of publishing. Reviews and updates happen when new material becomes available. Recipe photos via recipe authors. Used with permission.